Comfy Cubby - Walk to Ski Resort! WiFi, Cozy Fireplace, and Large Deck! Bedroom One - queen bed. Bedroom Two - double bed. Comfy Cubby comes with fresh towels and beds are made up and ready for you with fresh linens and plenty of cozy blankets. Our dedicated cleaning crew has the home clean and ready for you before your visit and does the cleaning for you after your stay. Everything about our stay was perfect! Very clean, great location, & an absolutely beautiful cabin. Will definitely stay there again! So glad to hear that you had a wonderful stay!! We look forward to your next visit and always try and give an extra perk to return guests. If you have time and wouldn't mind, please do a Yelp review for us. Have a great week. I see you're from Seal Beach - love that area. Thank you, Joseph, for your feedback! We're so happy that this cabin was everything you needed for a relaxing and enjoyable weekend. We hope you'll return to Big Bear and Cool Cabins for many vacations to come! Property was just as listed. Nice fireplace and comfortable beds. Thank you, Imelda, for your review and for choosing Cool Cabins. I’m happy that you enjoyed your stay and I’m looking forward to having you again as a guest in Big Bear! Nice little cabin, clean, has everything you need, great location. Thank you, Nelson, for your time and feedback. We're so happy that this cabin was everything you needed for a relaxing and enjoyable weekend. We hope you'll return to Big Bear and Cool Cabins for many vacations to come! 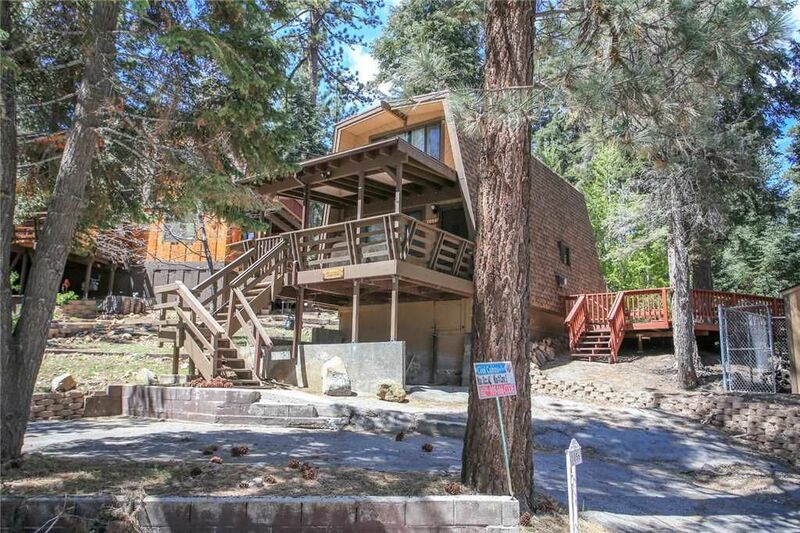 The property is on Club Moon Dr. a short 10 minute walk up to Big Bear mountain. They have a gas fireplace which kept my family and myself toasty. Big Bear Cool Cabins who managed this rental were really easy to get in touch with. They texted us the morning of our check-in that early check in was available. In checking out, we only had to send a text back to them making the stay extremely convenient. I do have to warn that the driveway is pretty narrow and a little tricky to turn into. You will be moving up a sloped turn with the property's concrete steps only a few inches from the front of your car. Good luck if you have a low clearance vehicle. We were lucky that we didn't have to deal with snow when visiting but I can see that being an issue if that were the case. Just be careful. Otherwise, it's a great home with that cozy cabin feel, steps away from the big mountain. Would definitely be back! Dear guest: Thank you for your time and feedback! When you visit us in the snowy season. we'll be sure to find you a more accessible driveway. Thank you for staying with us and we look forward to having you back!